A very new band out of the Gold Coast with a lot of experience with members coming from the former Fox And Fiasco and Maddi Rose bands forming in September 2017. YONDER are a vibrant, emerging band from the Gold Coast, Australia. 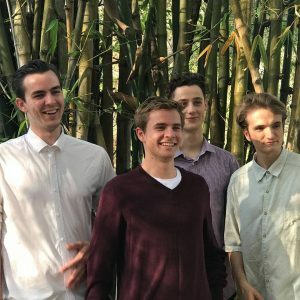 The indie / soft rock style has resulted from the past six months of jamming and developing their original sound and direction. The band is constructed of four members; Lachlan Saward (bass), Jayden Mitchell (drums), Brendan Huxley (guitar), and Jordan Huxley (keys, vocals). 2017 brought YONDER together and the boys are excited to dive into the Gold Coast music scene. Looking forward to amazing music from this talented four-piece.